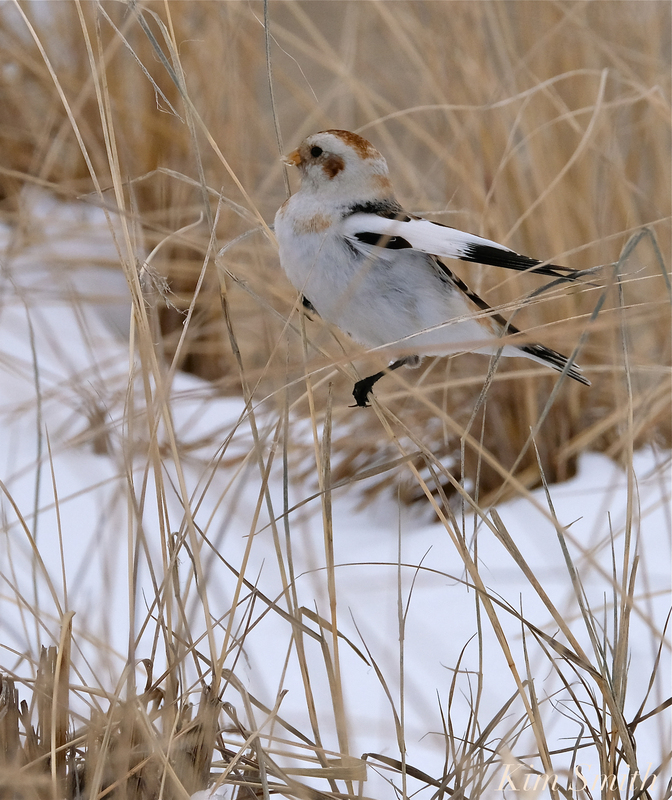 Safe Travels Little Snow Buntings! Mostly when you see the pretty Snow Buntings at the beach, they are pecking at the sand, foraging for seeds caught between the granules. It was a joy to see one member in this small flock briefly alight on a stem of grass so I could catch a glimpse of its beautiful wing. 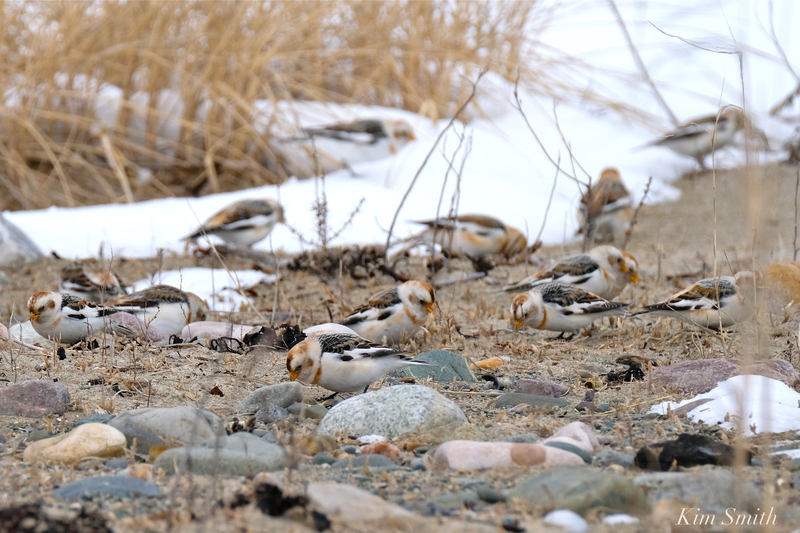 Snow Buntings are preparing to migrate to the Arctic. They have a circumpolar Arctic breeding range, which means they breed all around the globe within the range of the North Pole. 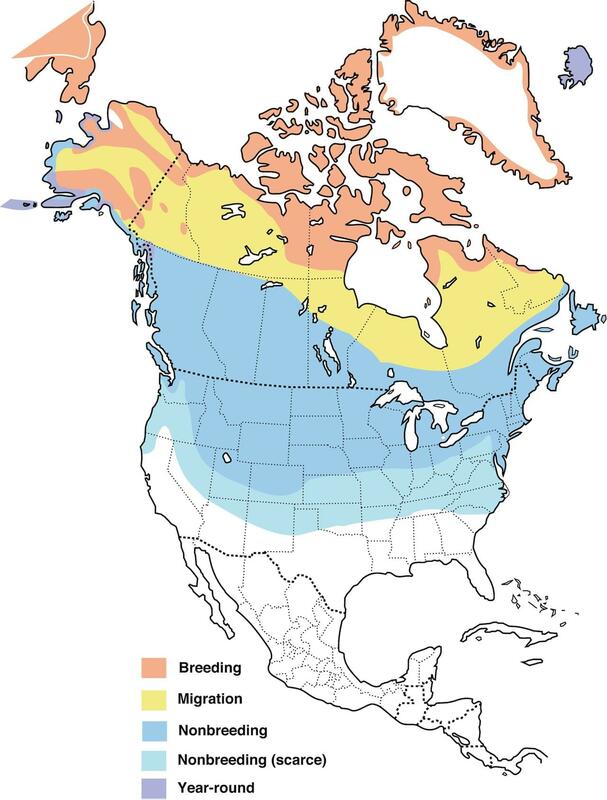 Snow Buntings are the most northerly recorded passerine (songbird) in the world! I don’t have a photo of what they look like in summer, when the male’s plumage is a striking black and white, and borrowed this batch from wiki commons media. 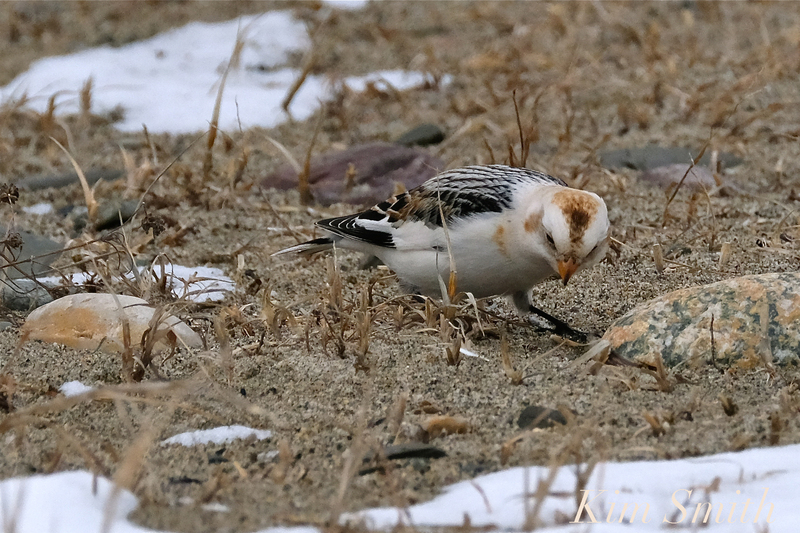 This entry was posted in Birds, Birds of New England, Songbirds and tagged Arctic, Beautiful Birds of Cape Ann, beautiful Birds of Massachusetts, circumpolar Arctic breeding range, Massachusetts beach, Passerine, Plectrophenax nivalis, Snow Buntings, songbird on March 15, 2019 by Kim Smith.